Grassington Festival is upon us once again and this years highlights for me include, Billy Ocean, Allan Davies, Hope & Social and a Frank Stone lecture, Frank was actually part of the real Great Escape from Hut 104 in Stalag Luft III. 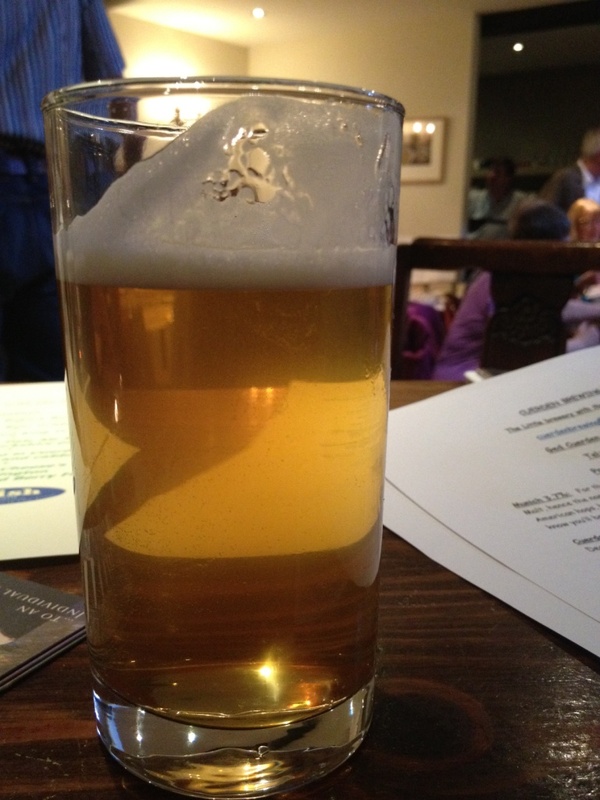 My first Grassington Fest event for 2012 was “Beer, Food & Relish” (how could I resist!) at The Fountaine Inn, Linton. A five course beer based tasting menu. A mixture of Beers from Ged Cueren of Cuerden Brewing, food from the Fountaine and Cheese from Relish the Deli in Grassington. 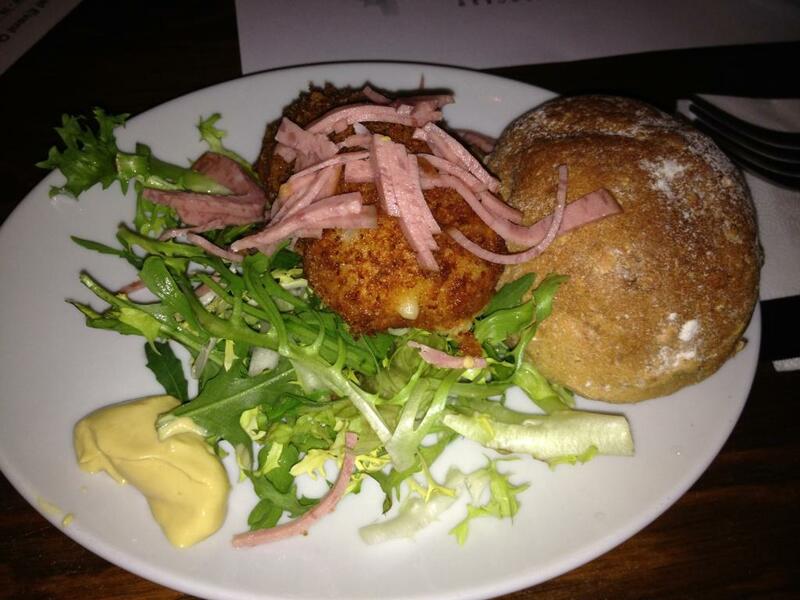 Served with a Threplands Beer Roll and a Cheesy Beer Fritter, dressed with Dijon mustard & what looked like slivers of spam? Was a lot better than it sounds or looks in my poor photograph! 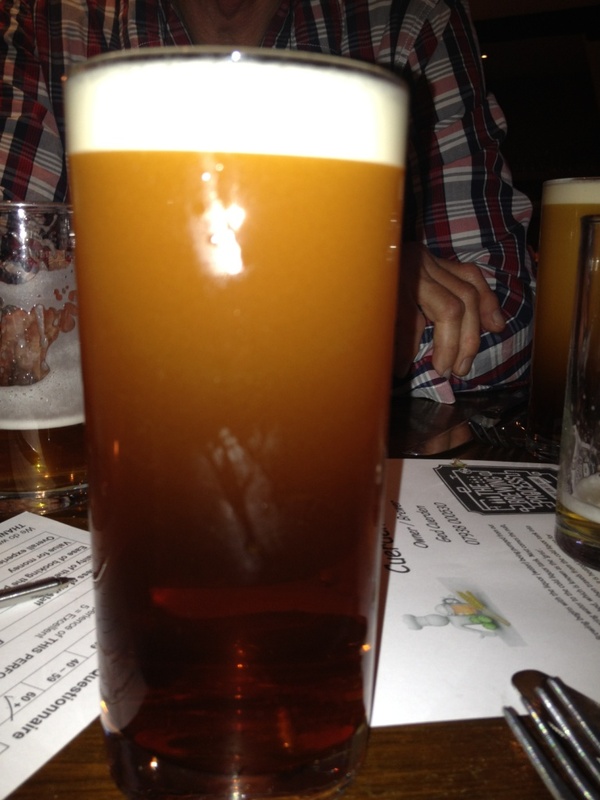 The next beer course was a very dark, Fountaine pale ale, 4.2% again brewed by Ged Cuerden, a powerful and bittery pale ale with New Zealand Nelson Sauvin hops. 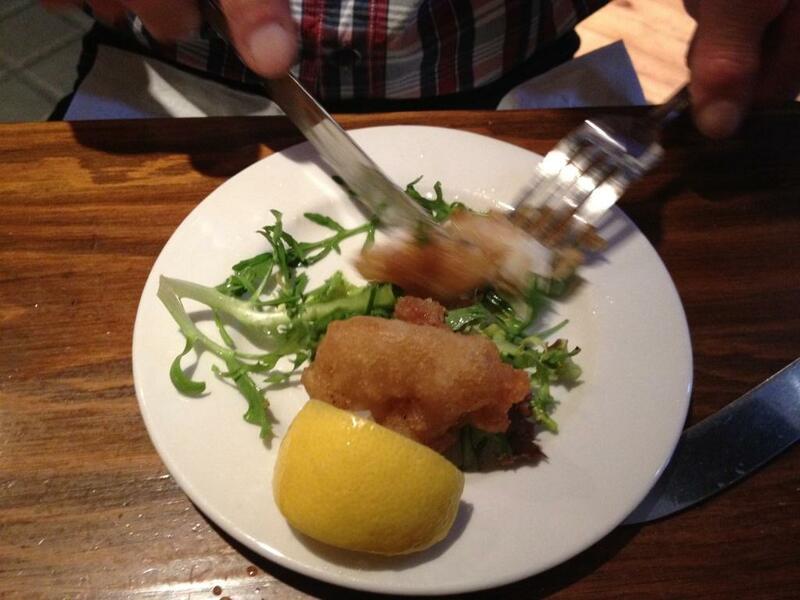 Served with Beer Battered King Prawns. 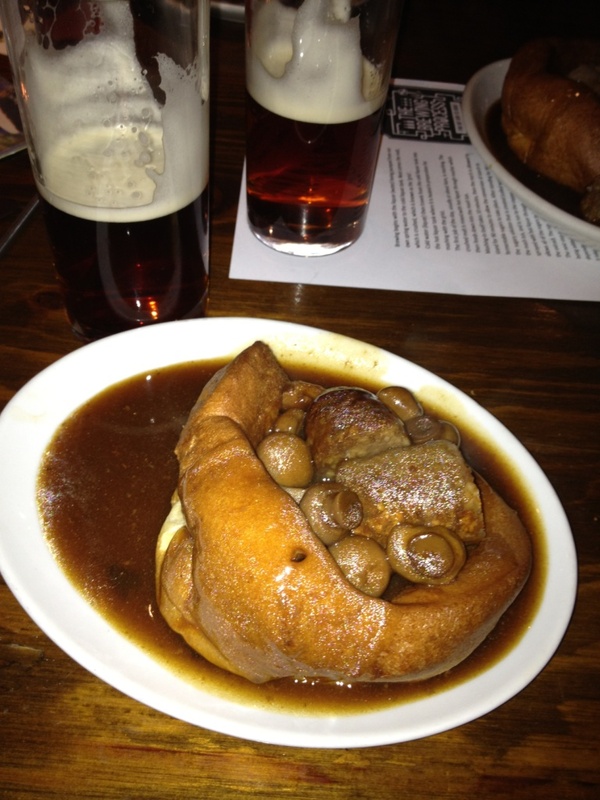 Beef and Fountaine Pale Ale Sausage in a Munich Ale Yorkshire Pudding. 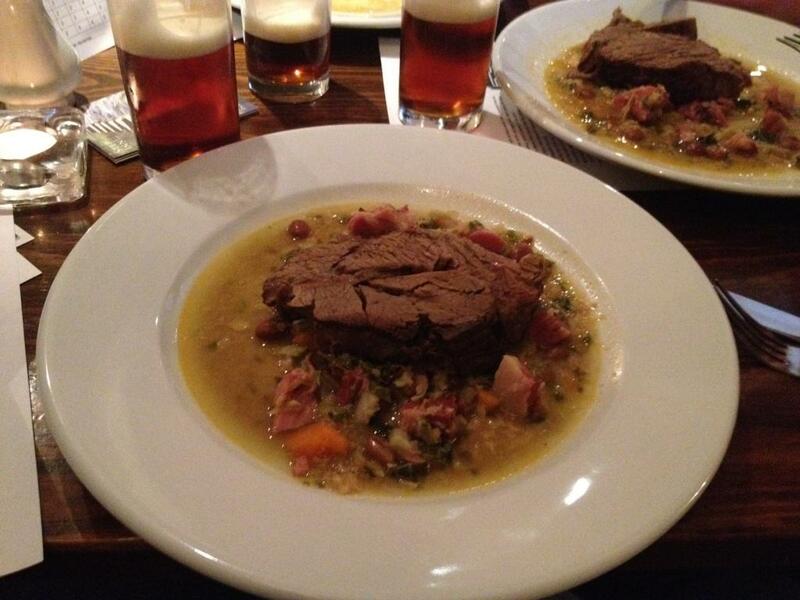 Brisket of beef brasied in Cuerden Mild and served with a beer bacon and cabbage stew. Selection of Yorkshire Cheese’s from Relish of Grassington and served with a mixed berry fruit beer. 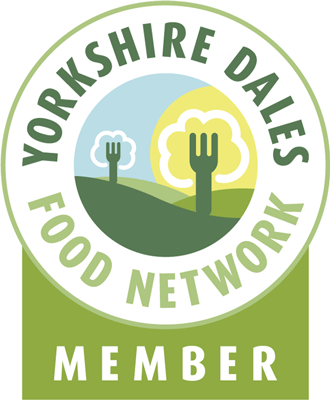 The fantastic selection of Yorkshire Cheese’s included classics from Shepherds Purse, Wensleydale, Ribblesdale and Swaledale. Grassington Festival, tickets still available for many events. 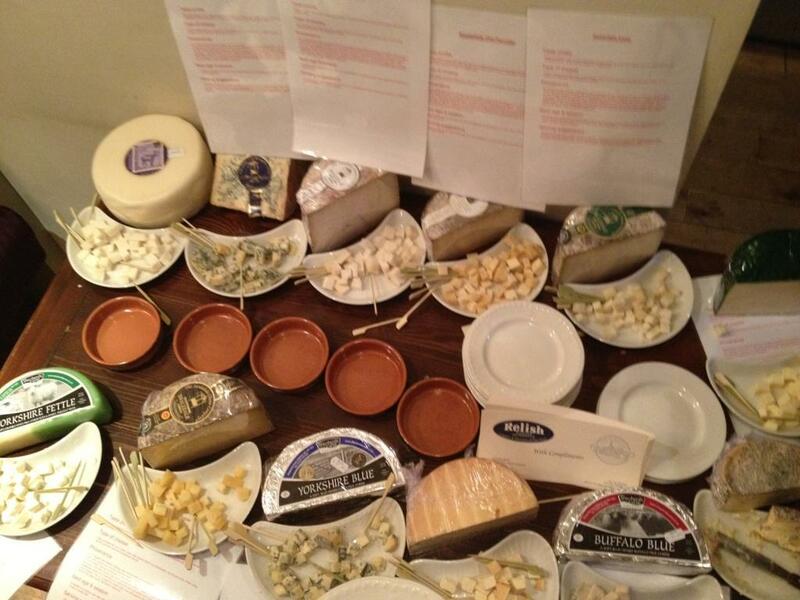 This entry was posted in beer, cheese, Events, Sausages, Yorkshire Dales Food and tagged beer, Billy Ocean, cheese, drink, festival, Food, Fountaine Inn, Frank Stone, grassington, linton, Munich, Mustard (condiment). Bookmark the permalink.